A series of posters I did as homework for school. 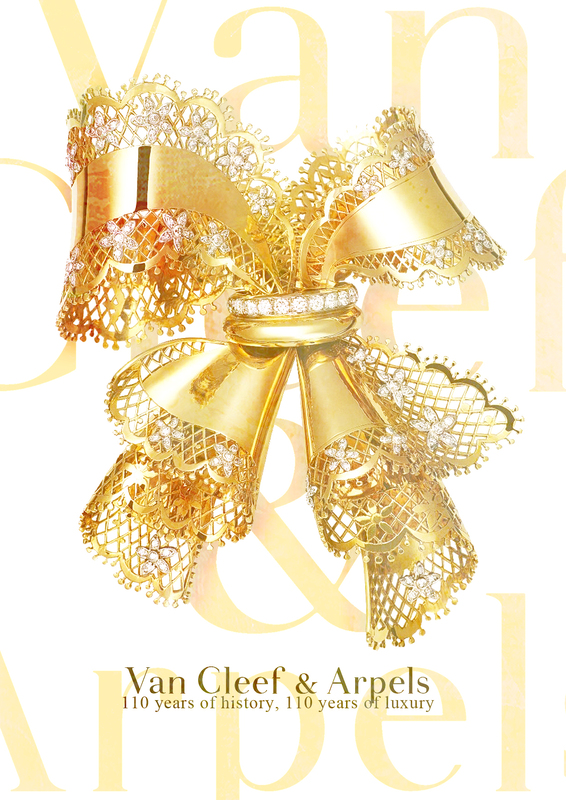 We were supposed to make just one for classic jewelry but I got carried away because I just adore Van Cleef & Arpels. 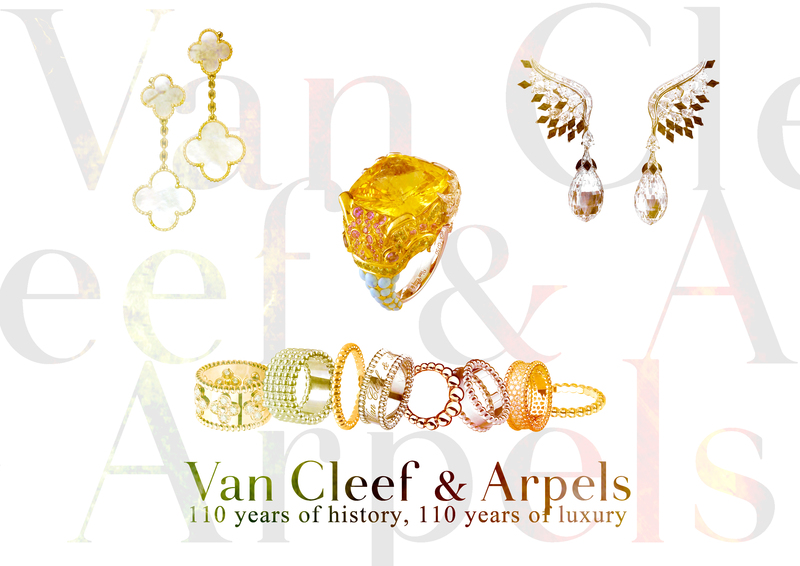 Van Cleef & Arpels is a house with such a long and exciting history, having opened in 1896, it’s first boutique dating back from 1906 in Place Vendôme, Paris. It’s still there, I walked right by it. 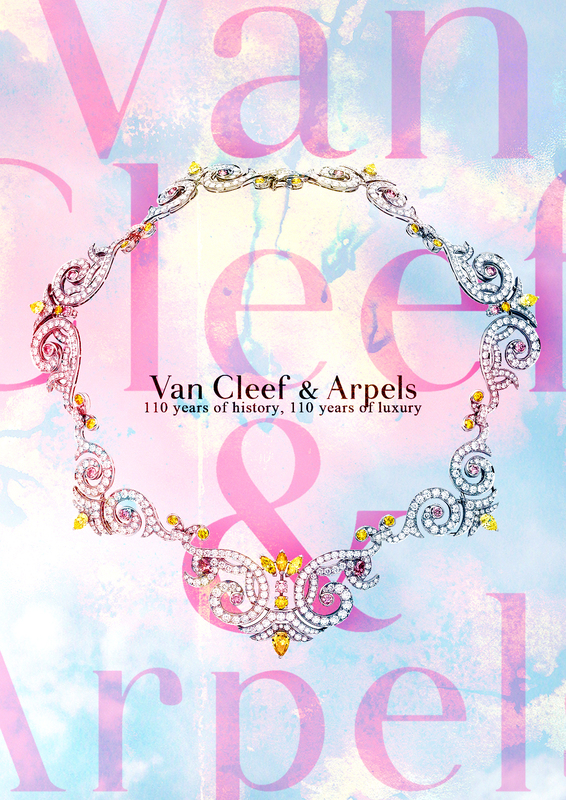 Van Cleef travelled through so many styles, cruising through the decades and adapting to everything from Art Nouveau/Liberty style to Art Deco and the more extreme haute joaillerie of today. 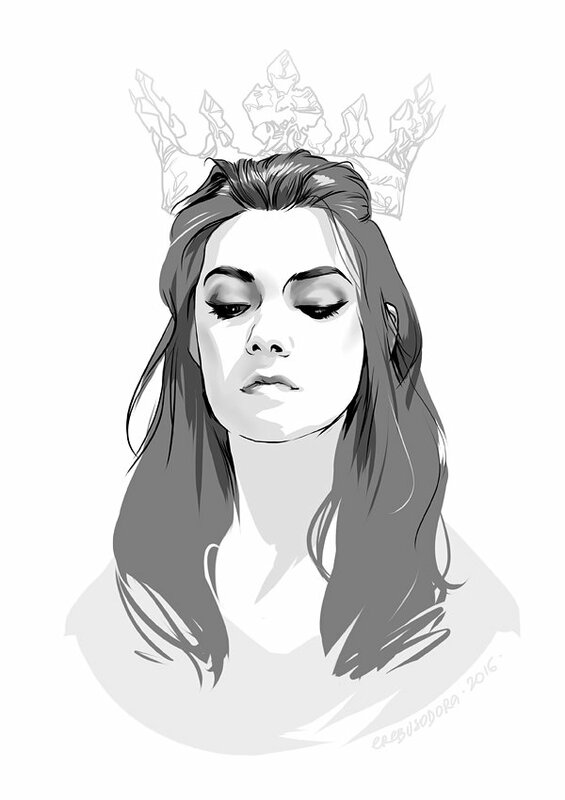 Nowadays they’re most known for either crafting intricate pieces for famous royals or their more “affordable” and very wearable Alhambra line (from which my mother owns two necklaces and a pair of earrings that I covet immensely). Anyway, as I said, I had to do a photoshop montage to promote some kind of classic jewelry. A lot of people went for Cartier but my mind immediately took me to Van Cleef because, come on, how much more classic can you get? I wanted to keep it simple but at the same time edgy; my teacher said they were just montages but I tend to look at everything as possible magazine spreads or adverts. What do you think? All in all, I hope I get a good grade, but I’m pretty pleased with the visuals.